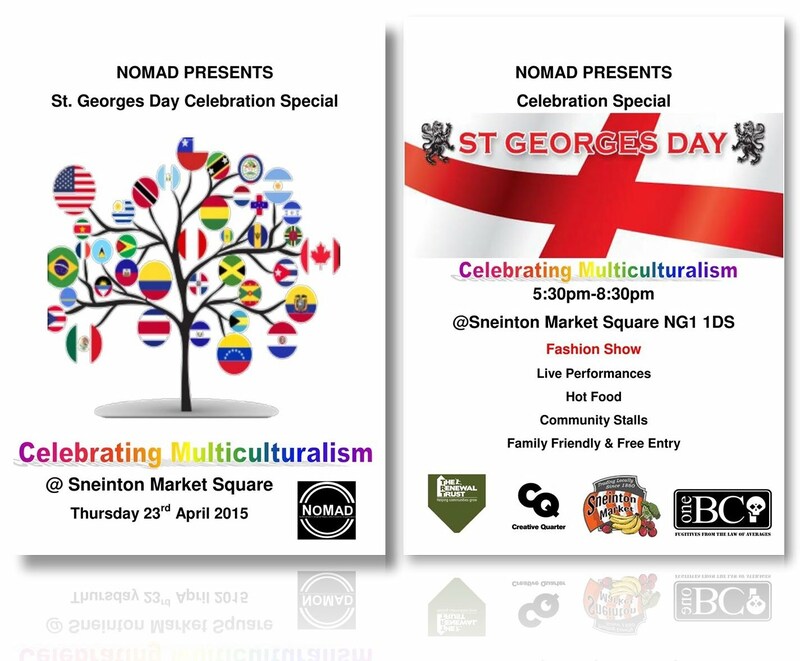 Nottingham's Original Music & Dance Organisation (NOMAD) will present a family friendly and free entry St George's day celebration of multiculturalism at Sneinton Market on Thursday 23rd April from 5.30-8.30pm. Lots of activities are planned, from stalls, hot food, music and dance, to a fashion show featuring designs from oneBC clothing. The event is backed by Sneinton Market, the Creative Quarter and the Renewal Trust... It's just the kind of event that the refurbishment of Sneinton Market Square was intended to support. St George is well known in this country as the patron Saint of England and for his mythical dragon slaying exploits. He would make a great patron for Sneinton- helping us to slay the problems that we face as a community, an idea that was suggested more than a century ago by Robert Mellors in his writings about Sneinton. Less well known is the historic and cultural figure of St George; beyond the picture of an English dragon slaying saint lies a complex story, a life that crossed boundaries of nationality and faith. And this is what makes St George's day an excellent time to celebrate multiculturalism.